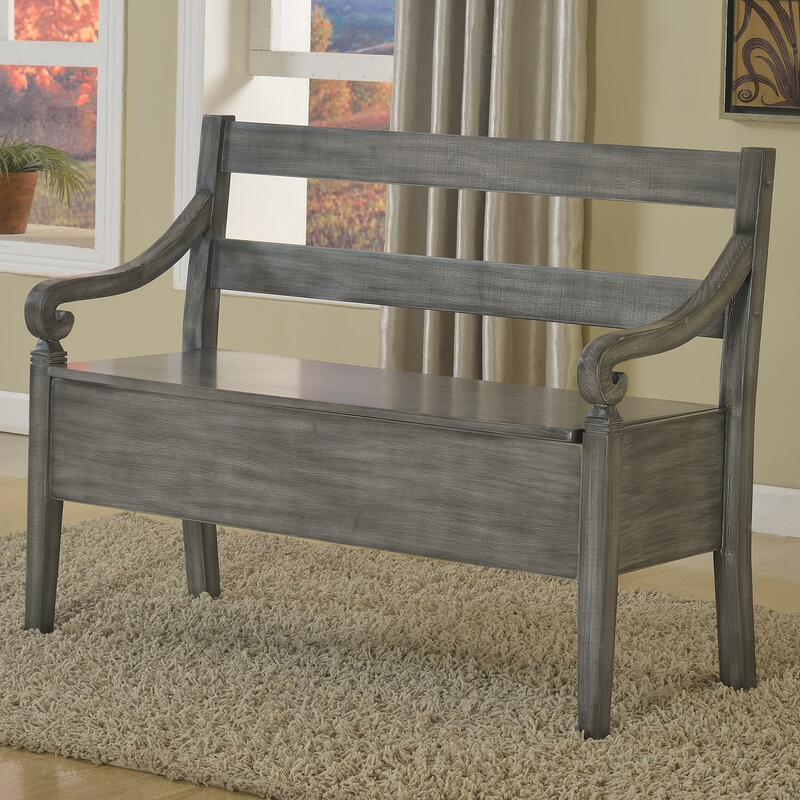 This simple, yet stylish bench is the perfect accent to a front entry way or mudroom. The bench has traditional bones, but a more updated appearance with modern finishes and clean lines. The curving arms retain a more traditional design, adding warmth with some graceful scrolls. The seat of the bench lifts up revealing a large storage area, perfect for spare blankets, jackets, or shoes. The Kennedy Accent Bench with Seat Storage by Crown Mark at Household Furniture in the El Paso & Horizon City, TX area. Product availability may vary. Contact us for the most current availability on this product.